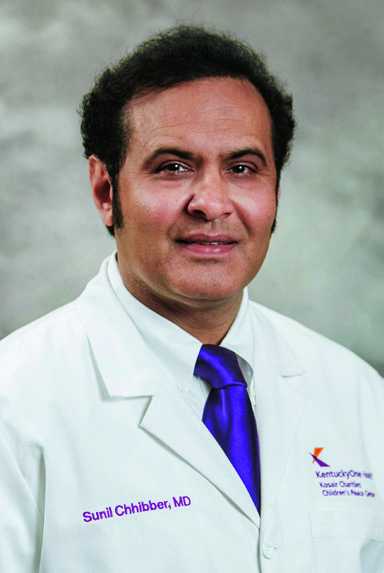 LOUISVILLE Our Lady of Peace, a service of KentuckyOne Health, is one of the nation’s leading psychiatric facilities offering specialized programs for persons with emotional, behavioral, psychiatric, and chemical dependency disorders. Licensed to take care of 396 acute care patients and a current operating capacity of 243 beds, it is one of the largest private, nonprofit psychiatric hospitals in the United States. Our Lady of Peace is unique in both the volume of patients it serves and the range of programs it provides. Although originally established in 1954 as an adult psychiatric treatment facility, programs and service lines have continued to change and grow to meet the ever-changing mental health needs of our community. Children and adolescents who have both psychiatric disorders and developmental disabilities have unique needs that are all too often neglected. While community-based services for these populations are limited, inpatient acute psychiatric services are almost non-existent. Throughout Kentucky and the surrounding states, families of children and adolescents with intellectual and developmental disabilities in crisis struggle to find services. Traditional hospitals are unequipped to meet their needs. A specialized program at Our Lady of Peace has offered hope to families. The Innovations program, established in 1997, provides cutting-edge treatment for children and adolescents with developmental disabilities. The Innovations program is comprised of three separate inpatient units specifically designed to meet the needs of this unique population. The adaptations are immediately visible when walking on to one of these specialty units. The children’s unit offers child-friendly fluorescent light coverings to decrease extraneous sensory stimulation and communication boards to assist patients with limited verbal skills in communicating their wants and needs. Treatment is delivered by a diverse team of professionals that includes psychiatrists, registered nurses, mental health technicians, licensed clinical social workers, certified teachers, board-certified behavior analysts, occupational therapists, and a speech and language pathologist. Treatment is truly multi-disciplinary and integrated into the patient’s daily activities. Behavioral data is collected every 15 minutes and graphed, and trends are discussed weekly with the psychiatrist and other treatment team members. In contrast to traditional psychiatric hospital programs that offer stabilization through medication management and traditional psychotherapy, the Innovations program’s focus is on long-term stability and decreasing the need for future hospitalizations. According to Kimberly Dwyer-Moore, board-certified behavior analyst, “The mission of our program is to provide behavioral and psychiatric stabilization to address those behaviors that impede meaningful family, social, and community integration. Our program is designed to teach patients alternative behaviors to promote a long-term behavioral change.” Utilizing an objective, data-driven model of care, the treatment team is able to identify variables influencing behavioral and psychiatric symptoms and works to formulate both medication and environmental changes to positively impact the patient’s long-term success. Due to the acute nature of the inpatient hospital setting, access to engaging, recreational, or functional activities are limited to those found within the locked facility. The components of this setting provide the structure and security that many children and adolescents with developmental and psychiatric disorders may need, but the sterile nature of the environment makes it difficult for therapists to identify meaningful methods of instruction that will motivate the participant to actively engage in the therapeutic activities. However, the Innovations program continues to work towards creating a therapeutic environment by way of community outings, passes with family members, and the development and integration of programs that patients can continue to be involved in after discharge. Children and adolescents admitted to the Innovations program receive art therapy, music therapy, and play therapy on a weekly and sometimes daily basis. These programs, led by Nevia Greenwell, licensed art therapist and manager of the activity therapy department, provide patients with meaningful, therapeutic activities that are also fun and engaging. 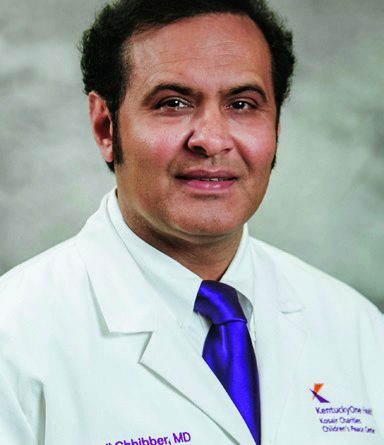 Dr. Sunil Chhibber is a board-certified child and adolescent psychiatrist with KentuckyOne Health Psychiatric Associates and a medical director for Our Lady of Peace.